Ah, I had a feeling it was the shrinking one. Also, with larger names I usually just split then into seperate lines. When my hack comes out during contest week, check the credits ingame. You'll see what I mean. Well, since a new page popped up, I better make a new reply to keep this process relevant, rather than just editing the original post. Angel X, Calvin, TheInvisibleSun and 1 other person like this. I've decided to continue working on my hack, so I've spent the last two months ironing out the design errors. I hope you'll like my new bosses better. Coming to the SHC 2018 Expo! NeoFusionBox, Angel X, Jdpense and 17 others like this. Angel X, Renegade, ProjectFM and 4 others like this. Looks great! Looking forward to a release! The visual effects are great, and I love that you can customize the tracks, so that any music disc you use can be adjusted to fit the game! It's going to be in the Hacking Expo, so be looking out for it when the entries are all released. 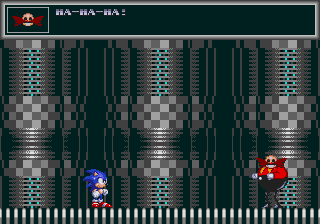 Coming to the Sonic Hacking Contest this year! NeoFusionBox, Angel X, Dandaman955 and 17 others like this. Well, this is a project started by KCEXE, how him is working with other project, I've decided to continue with this hack. 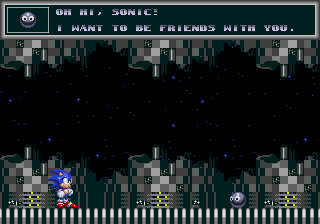 Palette and background are good, the music is from Time Trax, arts and sprites are from him, maybe the next year I will join in the SHC. For now this is a good progress too. If you have any suggestions or you will interested write me in PM. B. Comet, Angel X, Calvin and 5 others like this. Yeah, I can't draw grass. Even when following a guide on how to do so. Everything just went horribly about this, and to think I believed I might have potential with pixel art. Angel X, Pacca, Dj. Joker 27 and 1 other person like this. The grass is the only good thing in this art, to be frank. Background is super repetitive and the palette definitely doesn't fit. Also, the textures in the darker section of the walls doesn't match the textures of the lighten ones. Although, the grass is good, unique and looks nice. Pacca, Renegade, MarkeyJester and 3 others like this. I made the palette a bit better. Dj. Joker 27 and VLaD 7890 like this. I'll be honest, I think you should revert to the old grass. It really shook things up; that iconic GHZ grass is extremely noticeable, and changing it really makes quite a difference. 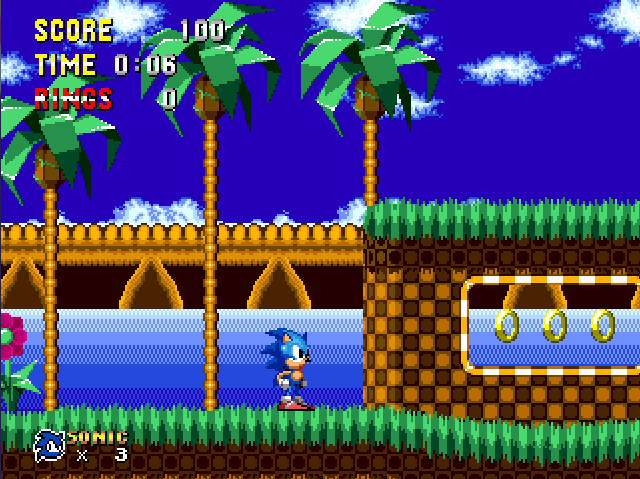 The first screenshot almost looks like a new level, as opposed to the later, which resembles a run of the mill GHZ clone. Mr. Cat, Calvin, TheInvisibleSun and 1 other person like this. I'm probably not going to revert to that grass specifically. 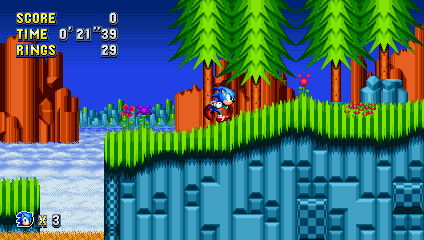 While it did change the way the level looked a lot, the palette I was using for it also caused some issues here and there, plus the grass just never looked "good" to me. I'll still try to make new grass for the level, but I don't know if it will go that well. The background is good, but according with EMK-20218, is repetitive, I recommend mixing his background art and your grass is good. The palette seems to be better, probably the last one it was looked a bit dark I guess. But still is nice and promising and have got a good implementation. 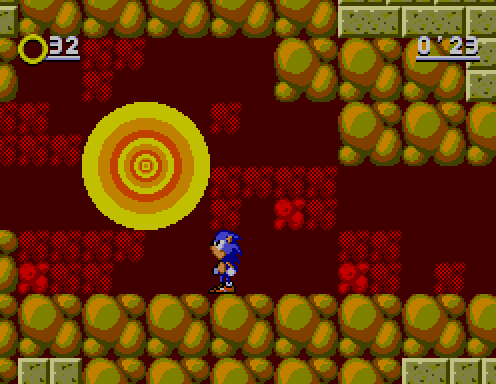 If you using the Dynamic Palettes I suggest you use HivePal, for have great results in his zones. I did a concept thing. Angel X, A-S-H, KrebbitX and 12 others like this. Man, this is incredibly beautiful and unique! 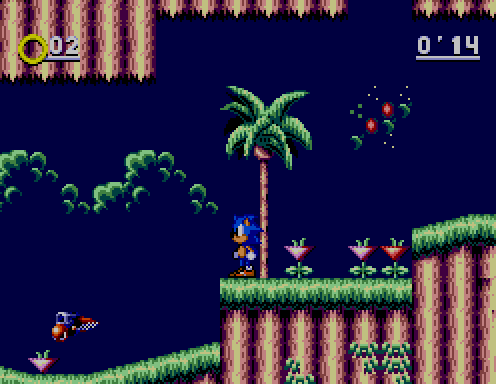 if you get to make this become true, you'll be making one of the most brilliant levels I've ever seen in a Sonic hack! KrebbitX, Pineapple Arse and Renegade like this. A bit late to the party, but whatever. Pineapple, that artwork is beautiful. I do like your artwork style, and it's rare to see more gothic hacks, which is a shame. It's a nice aesthetic with a lot of potential. 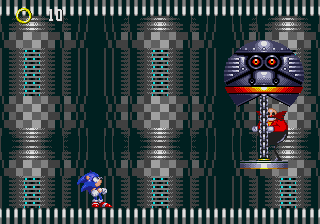 I could totally see that replacing Scrap Brain Zone, and that clock being a level event or boss arena. Finally, that's a nice lil Sonic. What can I say, I'm a sucker for shading. Well, that about wraps what I have up. Keep up the good work! Edit: Oh yeah, I just noticed that the grass(?) Uses the same palette as the rest of the FG. 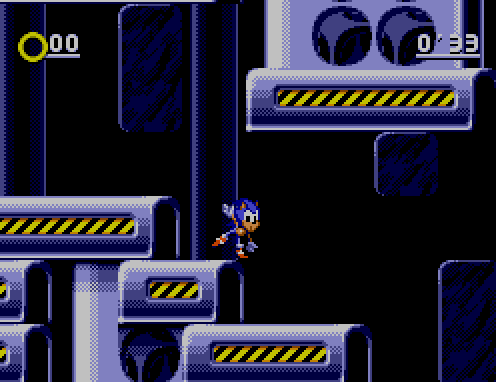 That does bother me a bit, as the Mega Drive, from my limited experience can do a bit with it's four palette lines. But, I do know this is just a concept, and things change. Who knows, you may scrap this for something else entirely. I'll just wait and see what happens. Progress on The Misfits Pack has sort of stagnated lately, but now that I'm done with most of my real-life busywork, work should resume at its proper pace. Here are a few more in-development screenshots. Hill Top Zone has gotten a huge revamp and is now more accurate to the original level. 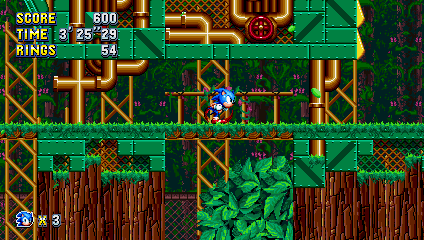 Metropolis Zone Act 2 has been made more overgrown and mixes up the nature aspect and the factory aspects more often. Marble Zone! Not a lot of progress has been made quite yet, but I have big plans for this level. A-S-H, Calvin, maple_t and 5 others like this. Nothing special, but I thought it was worth showing off. I fixed his hitbox after the video, btw. 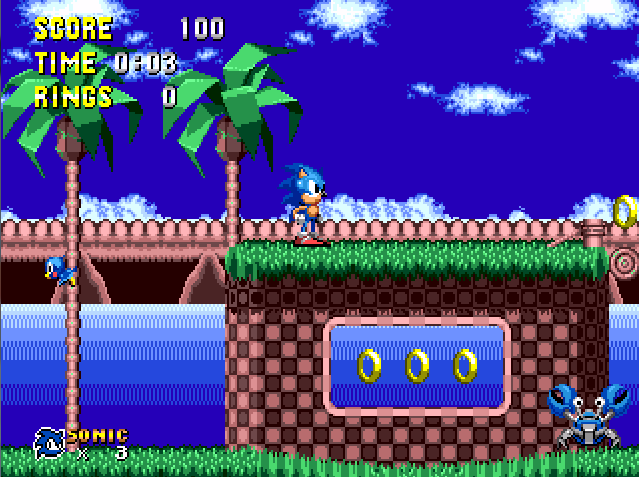 I just need to port the actual tails themselves, fix the rotation frames and fix any sprites that were originally using a 3rd shade of red, or the HUD yellow. Calvin, maple_t and Renegade like this. 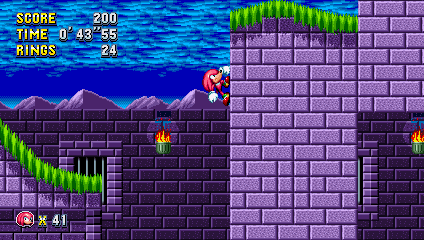 Here is the trailer for Sonic 3 and Knuckles Tag Team, coming to this years' expo! NeoFusionBox, Angel X, Dj. Joker 27 and 7 others like this.